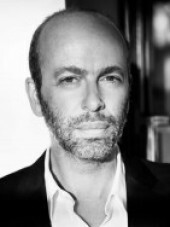 Eric Fellner is the Co-Chairman of Working Title Films with partner Tim Bevan. Together they have made more than 100 films that have grossed over $6 billion worldwide. Their films have won 10 Academy Awards (for Tom Hooper's Les Misérables, Joe Wright's Anna Karenina, Tim Robbins' Dead Man Walking; Joel and Ethan Coen's Fargo; Shekhar Kapur's Elizabeth and Elizabeth: The Golden Age; and Joe Wright's Atonement) and 35 BAFTA Awards and numerous prestigious prizes at the Cannes and Berlin International Film Festivals. Fellner has been honoured with the Producers Guild of America's David O. Selznick Achievement Award in Theatrical Motion Pictures, the PGA's highest honour for motion picture producers. Jointly with Tim, Eric has been accorded two of the highest film awards given to British filmmakers; the Michael Balcon Award for Outstanding British Contribution to Cinema, at the Orange British Academy Film [BAFTA] Awards, and the Alexander Walker Film Award at the Evening Standard British Film Awards. They have also both been honored with CBEs (Commanders of the Order of the British Empire). The company's commercial and critical hits include The Interpreter, About a Boy, Notting Hill, Elizabeth, Fargo, Dead Man Walking, Bean, High Fidelity, Johnny English, Billy Elliot, Four Weddings and a Funeral, Bridget Jones's Diary, Bridget Jones: The Edge of Reason, O Brother, Where Art Thou?, Love Actually, Shaun of the Dead, Pride & Prejudice, Nanny McPhee, United 93, Mr. Bean's Holiday, Hot Fuzz, Elizabeth: The Golden Age, Burn After Reading, Frost/Nixon, Atonement, Senna, Tinker Tailor Soldier Spy, Contraband, Anna Karenina, Les Misérables, I Give It A Year, About Time, and Rush. Working Title's current slate includes Tom Hooper's The Danish Girl, starring Eddie Redmayne and Alicia Vikander; Hail Caesar! Fellner's eighth film with Joel and Ethan Coen, starring George Clooney, Josh Brolin and Channing Tatum; Louis Leterrier's Grimsby starring Sacha Baron Cohen, Rebel Wilson, Isla Fisher and Mark Strong and Bridget Jones's Baby directed by Sharon Maguire starring Renée Zellwegger, Colin Firth and Patrick Dempsey. Heather Rabbatts was on the inaugural board of the QCA and was a non-Executive Board member and Advisor to DfES; she was also the Managing Director of 4Learning, the education arm of Channel 4, and has been a Governor of the London School of Economics. She began her career as a barrister before becoming a senior executive across a number of sectors, including government, media and sport. Her media career includes the BBC, Channel 4, Tiger Aspect Productions and she became Chair of Shed Media, a publicly-listed media production and distribution company, which was subsequently bought by Time Warner. She is currently Managing Director of Smuggler Entertainment, working with Smuggler, one of the most successful commercial agencies, producing iconic adverts for T-Mobile, Volvo, British Gas, Virgin and Coca Cola, to name but a few. In 2012, Heather was also the first woman to be appointed to the Board of the Football Association. 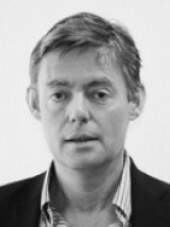 Patrick Bradley is the Managing Partner of Station 12, an investment business focussed on the media, entertainment and media tech sectors. Patrick was formerly a trustee of the film charity First Light, whose activities merged with FILMCLUB to create Into Film. He is a Governor of the University for the Creative Arts and a Trustee of the National Army Museum, Chelsea. Patrick was previously the CEO of Ingenious Ventures. Prior to joining Ingenious in 2001, Patrick qualified as a lawyer in the City of London, following which he worked in the music, film and television industries. The daughter of Albert R Cubby Broccoli, the legendary producer who turned 007 into the longest-running series in movie history, Barbara began working on the Bond films at the age of 17. Together with her brother Michael G Wilson, she has produced the previous eight Bond films, including Skyfall (for which she shared a BAFTA win for Best British Film) and most recently, the box-office hit Spectre, the 24th 007 adventure, directed by Sam Mendes and starring Daniel Craig. Together with Michael G Wilson, Barbara has produced a number of stage productions including La Cava (2000 London), Chitty Chitty Bang Bang (2002 London, 2005 Broadway), and A Steady Rain starring Daniel Craig and Hugh Jackman (Broadway 2009). In 2012 Wilson and Broccoli adapted the critically acclaimed film Once for stage, which opened on Broadway and in London to rave reviews and garnered 8 Tony Awards, 2 Olivier Awards and a Grammy. They also adapted Chariots of Fire which opened in July 2012 and Strangers On A Train in November 2013, both opening in London's West End. Love Letters opened on Broadway in September 2014. Barbara was awarded the OBE (Order of the British Empire) in Her Majesty the Queen's New Year's Honours list 2008. Barbara was also the Chair on the board of directors for First Light. 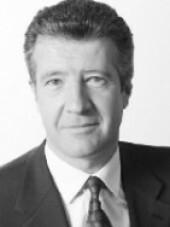 Mark Devereux was a founding member and Senior Partner of the media and technology law firm Olswang which merged with CMS Cameron McKenna and Nabarro in May 2017 to form the world's 6th largest law firm by headcount, with over 70 offices in 42 countries. Mark is known as an innovator and a key influencer in the media sector. 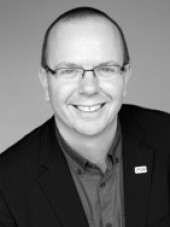 Acting for broadcasters, TV producers and filmmakers, among others, on both sides of the Atlantic, Mark has helped to shape the media landscape, and in particular, the UK film and television industries. Mark was the deputy chairman of the UK Film Council and, until recently, of British Screen Advisory Council. He was also one of the founder members of the Global Digital Media and Entertainment Alliance, created to foster active trading relationships between the key media organisations in China and the UK. 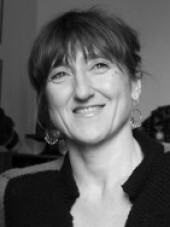 Beeban Kidron is a British filmmaker who has spent the last 30 years working in feature film, television drama and documentary. She is Co-Director of Cross Street Films. In 2006 Kidron co-founded the educational charity FILMCLUB, which helped to set up over 8,000 film clubs across the UK. FILMCLUB went on to merge with First Light to form Into Film. In 2012 she was appointed to the House of Lords where she sits as a Crossbench Peer. Baroness Kidron is also founder of iRights - a campaign to adopt a rights based approach to young people online. 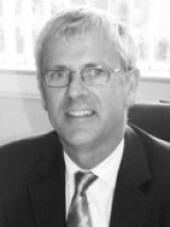 Sir Alasdair Macdonald was Headteacher of Morpeth School until August 2013, and during his 21 years at the school, Morpeth's attainment at all Key Stages improved significantly. In February 1999, Morpeth School received the Evening Standard's first ever award as the Most Improved Secondary in London. In 2000, Alasdair was awarded the CBE for services to education in Tower Hamlets and a knighthood in 2008 for services to both local and national education. In November 2008, Alasdair was asked to lead a review into the proposal to make PSHE statutory, and the report was completed and presented in April 2009. Alasdair is currently working for the Welsh Government as Advocate for The Pupil Deprivation Grant and as a Champion for the Schools Challenge Cymru. He is also working at the Institute of Education and as an Advisor to Tower Hamlets. Col Needham is the founder and CEO of IMDb, the number one movie website in the world. After starting a computer games software business at the age of 14, he went on to complete a computer science degree at Leeds University before commencing a career in technology research in Bristol. IMDb grew out of a personal database of movie information which Col created as a teenager, combined with similar data collected on the Internet in the late 1980s/early 1990s. Col published the first version of IMDb online in October 1990 and co-ordinated IMDb as a worldwide volunteer effort from 1990-1996. IMDb incorporated in January 1996 with the volunteers as shareholders and IMDb became a wholly owned subsidiary of Amazon.com in April 1998. Col continues in his original role to this day, working from an office in Bristol with IMDb staff members in countries around the world. Col received a 2014 Creative Coalition Independent Spotlight award for his work to support independent filmmaking and was a jury member at the 2015 Sundance Film Festival. Duncan Clark is President of Distribution for Universal Pictures International (UPI), a position he has held since June 2011. 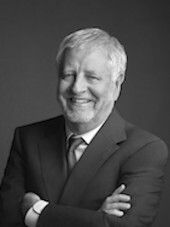 During his years at the studio, Clark has guided Universal Pictures to some of its best years at the international box office. Clark was a key executive in helping to set up Universal's standalone distribution operations internationally as the company transitioned from its UIP joint venture with Paramount Pictures in 2007. He supervises Universal Pictures International's operating companies, United International Pictures (UIP), as well as UPI's independent partners and sales agents. In 2015 the studio crossed the $4 billion mark at the international box office for the first time in its history, propelled by such hits as Minions, Fast and Furious 7, Jurassic World, Fifty Shades of Grey and Everest. 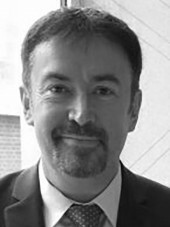 Prior to joining Universal, Clark was a marketing and distribution consultant for Steven Spielberg on War of the Worlds and Munich, taking on a similar role on the 21st Bond film, Casino Royale. Clark spent fourteen years at Columbia Pictures/Sony Pictures from 1986-2000 in New York and Los Angeles - first as head of its international marketing division, culminating in his role as President of the International Distribution. During his years at Sony, he oversaw the release of such critical and commercial hits as Men in Black, Sense and Sensibility, As Good As It Gets, Jerry McGuire, and The Mask of Zorro. As an original resident of the UK, Clark headed up marketing/distribution from 1980-1986 for UIP/UK, distributor at the time for Universal, Paramount and MGM/United Artists. Clark is a member of the Academy of Motion Picture Arts and Sciences (AMPAS) and the British Academy of Film and Television Arts (BAFTA). Clark is married with a son. 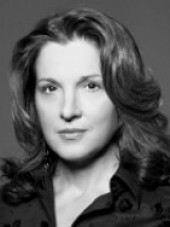 Lisa Bryer started work within the film industry in the 1980s, working for Tony Palmer on Wagner. She then set up her own company, Cowboy Films. Lisa is a trustee of Action on Addiction, was a governor for six years of the Westside school, and is currently on the board of the TBAP Multi-Academy Trust. Having set up Cowboy Films with director Tim Pope, between them they made more than 300 music videos for bands and artists like The Cure, David Bowie, Talk Talk, and The The. The company expanded into making commercials with award-winning directors; short films, including Andrea Arnold's oscar winning Wasp; and feature films, including the BAFTA and Oscar® winning The Last King of Scotland. 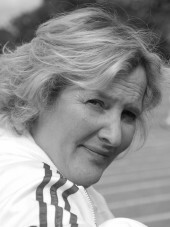 Kate has over 30 years of experience as a Film Publicist and UK Film Distributor. 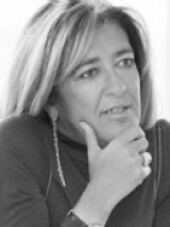 Since joining Freud Communications as a Director and Stakeholder in November 2000, she has created a highly sought after film publicity division and the largest in Europe. Kate develops and implements strategic campaigns across film production and theatrical releases. She also runs large-scale media events and handles corporate business strategy. She represents individual Filmmakers, production companies and individuals.She handles the corporate and consumer communications for some of the most exciting production companies, new actors and Filmmakers in the UK and internationally. She represents in the U.S and UK including BBC Films, Working Title, BAFTA, Studio Canal, DNA, Number 9 Films, Fudge Park and Baby Cow. Other clients include Paramount, Warner Bros and 20th Century Fox, Sony, Bend It Films, Aardman and Framestore. Prior to this Kate was part of the team that set up Polygram UK office in 1998 launching such titles as Four Weddings and a Funeral and Bridget Jones's Diary. Prior to that, Kate ran the Disney UK press office. 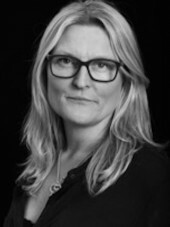 Kate independently sits on the BAFTA Film Committee and the Debut Category Judging Panel. She is on the Advisory Committee for the BIFAs and supports many up and coming new Filmmakers and mentoring projects. John provides specialist advice on accessing film and television financing opportunities in the UK and overseas. John's list of clients includes many significant members of the international film and television community. These include Universal Studios, Lucas Film, Disney/Marvel, Paramount, Working Title, Lionsgate and Warner Bros. to name a few. During his career, John has been involved in advising on hundreds of films including more recently Star wars, The Jungle Book, Darkest Hour and Three Billboards Outside Ebbing, Missouri. Away from the cut and thrust of the commercial world, John has been a mainstay of film policy in the UK for a number of years, advising both the UK government and key strategic film agencies.